The photograph of the roof above was taken by myself, after it was installed on my own house. 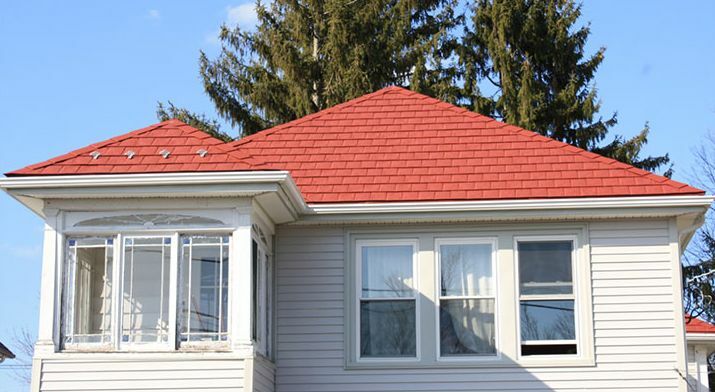 – This is a steel shingles metal roofing system that you can get from New England Metal Roof. 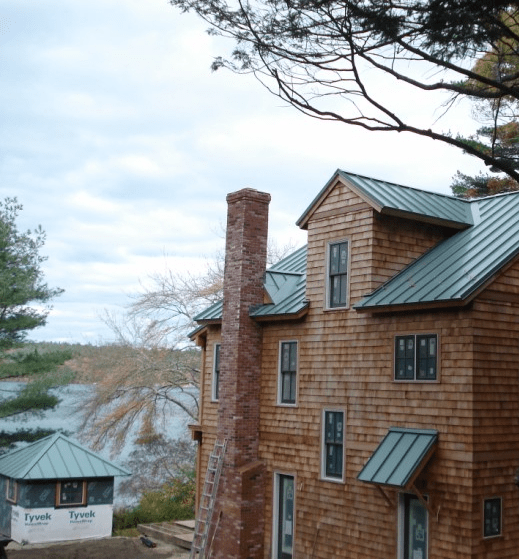 As you can see in the picture above, this darker-colored metal roof with a pattern of natural Vermont Blue slate is an exciting and respectable roof to look at. In fact, it resembles the look of slate so closely that it is almost astonishing! I cannot believe this is not slate! 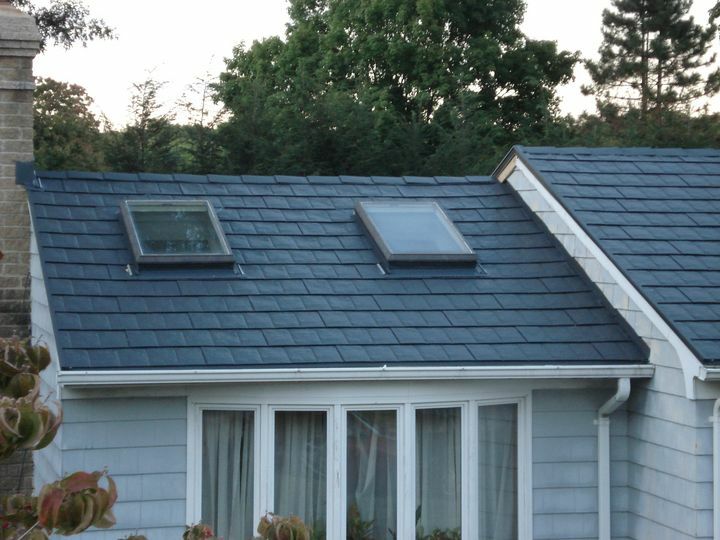 Yet, unlike the natural stone slate roof, this roof is very light-weight, which means that it does not require the reinforcement of your existing roof structure to support the weight that comes with the real slate roof, never mind the expense of it, which would easily be double the cost of a metal roof. – more information. Do you have a metal roof installed on your home? Are you happy with it? Or, are you considering a metal roof for your home? Share your experience, we would like to hear your story! 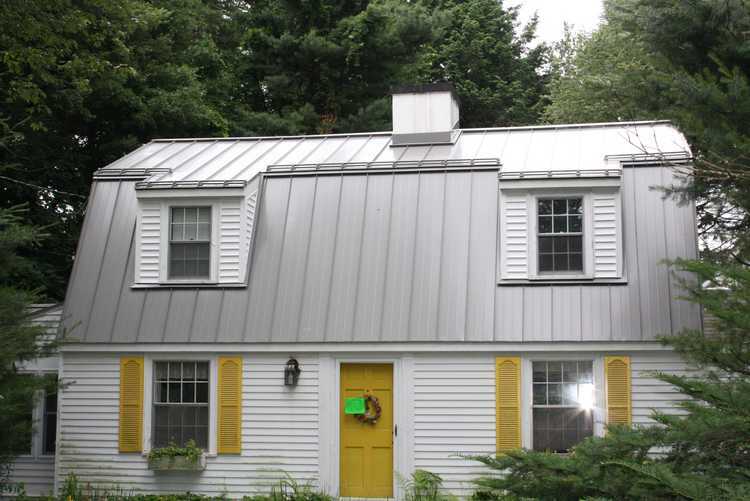 « Standing Seam Metal Roof Installation Details – Will Standing Seam Work on your Roof?